EVERYTHING YOU NEED FOR REMOTE WATER MANAGEMENT IN ONE SIMPLE PACKAGE. mobile access and no annual fees. and manage who accesses it and from where. Remote water management is today's most powerful tool to generate and track real water savings. With the new IQ Platform, you can choose from three solutions that enable you to take greater control over the irrigation systems you manage. IQ-Cloud allows you to access IQ from any web-enabled device and enables multi-user access. Perfect for managing HOAs, schools, parks, and municipal properties. IQ-Enterprise allows organizations to deploy IQ-Cloud on their servers to comply with IT security practices. Perfect for managing hospitals, universities, and government or military properties. IQ-Desktop allows you to control the irrigation systems you manage and save water from your computer. Perfect for a single user managing multiple properties. IQ-Cloud combines ultimate ease of use with mobile access and no annual fees. IQ-Cloud has the same features as IQ-Desktop, and allows you to share access with your team. Mobile. Quickly start and stop irrigation schedules on your smartphone or tablet. No annual fees. Manage water intelligently and reduce costs. Also, using Wi-Fi can help you avoid cellular data fees. Multi-user access. Powerful access control tools allow you to restrict who can make changes to which site. Access your data and settings 24/7. IQ-Cloud is backed up regularly to ensure your settings and data is secure. Easy to use. If you're familiar with previous versions of IQ, or even if you're not, you'll love the easy-to-use interface. 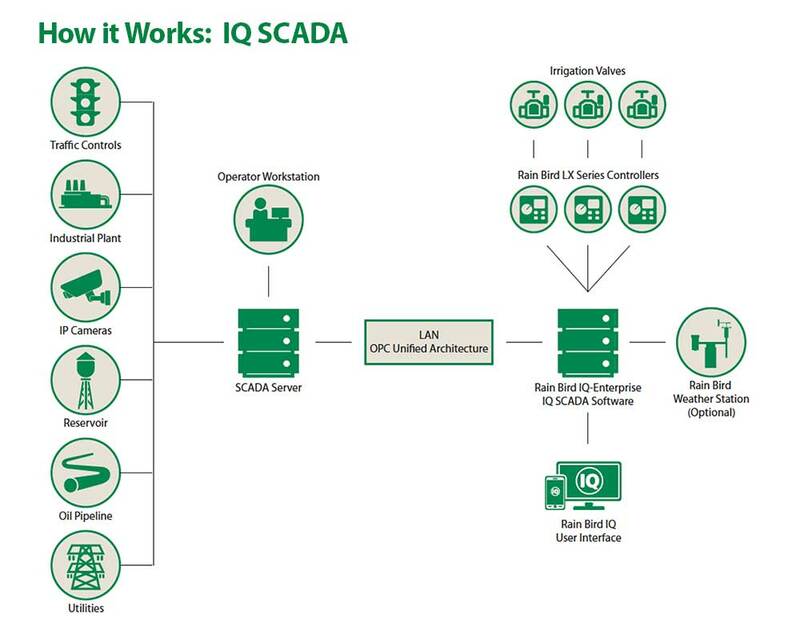 If you work for an organization with strict IT security protocols, IQ-Enterprise allows you to deploy IQ-Cloud on your organization's servers. All the features of IQ-Cloud are available to give you mobile access on your organization's approved devices. Manage IT security. Meet strict firewall and security restrictions without sacrificing features and mobility. Reduce data fees. Leverage your Wi-Fi network instead of relying on cellular connectivity to avoid data fees. Maximize efficiency. IQ-Enterprise supports mobile devices of any kind giving you the best security and mobility solutions. 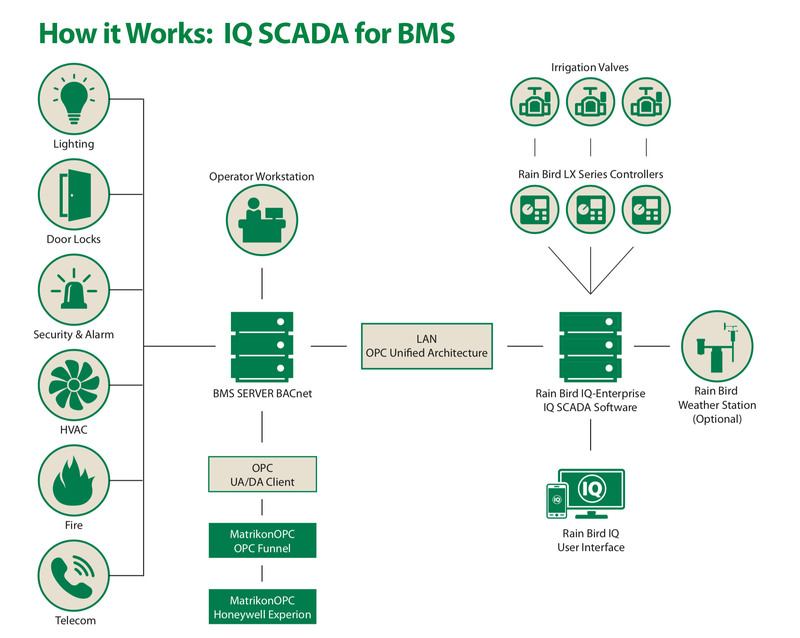 Do you have questions about IQ SCADA? Use this form and one of our local sales representatives will contact you. IQ-Desktop is installed on your desktop computer and all data is stored there. You can also use the IQ Tablet, for mobile use which includes 6 months of our GSP professional support. IQ-Desktop is perfect for the single user. Click here to download IQ-Desktop v. 3.0 This includes a 60 day demo for new customers and upgrades existing customers to the latest version. Weather-based management. Adjust irrigation schedules using weather data from the Internet or onsite weather station. Save time. Eliminate time consuming and costly visits to the site by controlling the irrigation system remotely. Stop guessing on the sequence of irrigation events. The dry run feature tells you which zones are operating and where, down to the minute. Automate reports and alerts. Get reports on total irrigation time completed and water usage, set-up e-mail alerts to easily manage exceptions. Rest easy. Using Flo-Watch™, IQ will react to unexpected flow events, notify you of any problems and shut down the affected zones. Rain Bird is proud to offer industry leading technical support from our GSP Support Team. With over 30 years of experience we can help you maximize the efficiency your irrigation system, solve problems faster and take advantage of all programming features that help save more water. Upgraded support for your iPad with a 2 Year AppleCare+ Protection Plan included. Not a GSP subscriber and need some help? We offer limited free support via email, please email IQCloudSupport@rainbird.com with your questions. Need to configure communication cartridges? Download the configurator software here.